I thought I would make the first Friday post as a fashion post. There is a show in my area called CityLine and has had “Fashion Friday” episodes for as long as I can remember. I have always wished to be on the show for a make over but have never sat in the audience. Fashion for me has always been a struggle. Not only because I have always been a little on the cubby side but also because I shared a room with a sister with great fashion sense. My sister followed the trends but did ensure she added a little “Liz” spin on it. My childhood consisted of her hand-me-downs and just buying the exact same items in a smaller size. This meant I wore the same clothes for about 4 years as I had the sizes to grow as I did. I started to come into my own style in high school. This consisted of pant legs that I could fit my whole body in, spiked bracelets and a wallet with a chain. Good Charlotte, Sum 41 and Blink 182 where my idols. This was 2001-2003 so I may have worn a tie or two like Avril Lavigne. 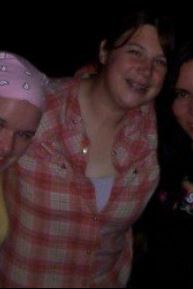 Do not be jealous of my cool grease pit style of the early 2000’s. Not everyone could look as cool as I did *currently hiding my face in shame. At least I was a happy wannabe punk right? 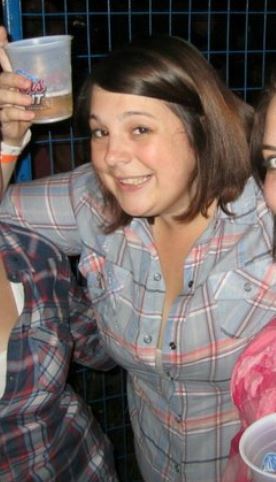 When I moved off to College, my style changed to all plaid and cowboy boots. Studying Agriculture did move my style more that direction and my love of Country music help as well. For some reason, I decided wearing cardigans/zip up sweaters all the time was a good fashion statement. I wore them to class, sitting on the couch, house parties and even to the bar. Cardigans are still a main part of my wardrobe today and I think I would be freezing all the time without them. My body now depends on them to get through the day. Well, I hope you found my fashion journey as entertaining as I have. What an adventure it has been. Although, there is a lot more fashion choices I could recap, I will leave you here for now.